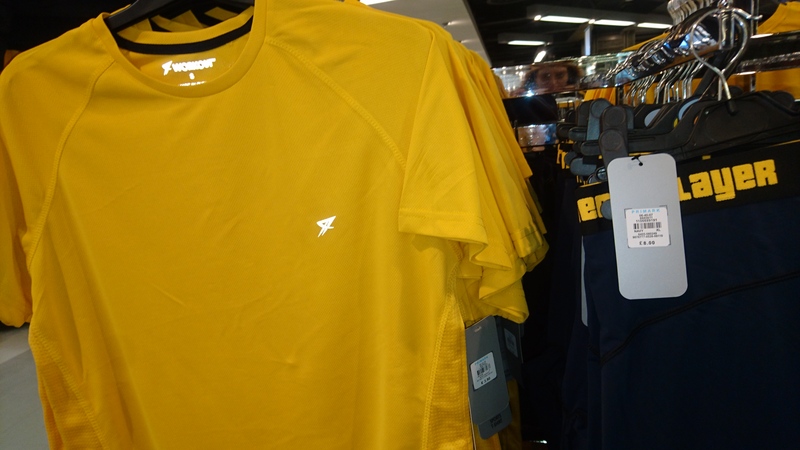 I love the new colour schemes for ladies sports clothing at the moment. 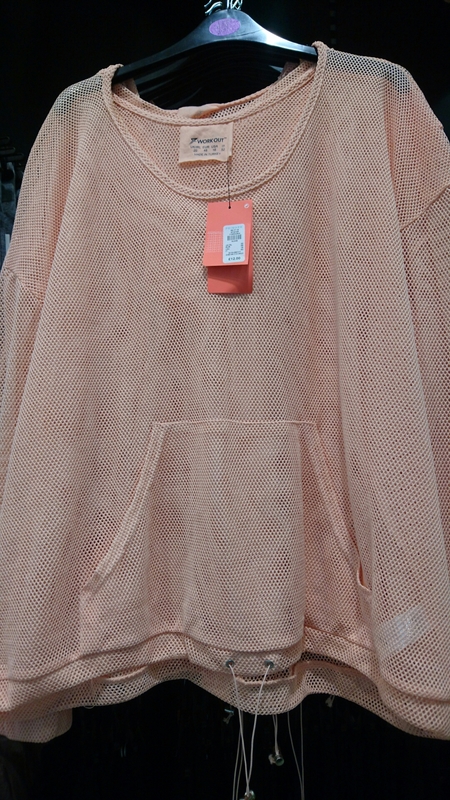 There’s a lot of pale orange and grey that almost looks like dance wear. 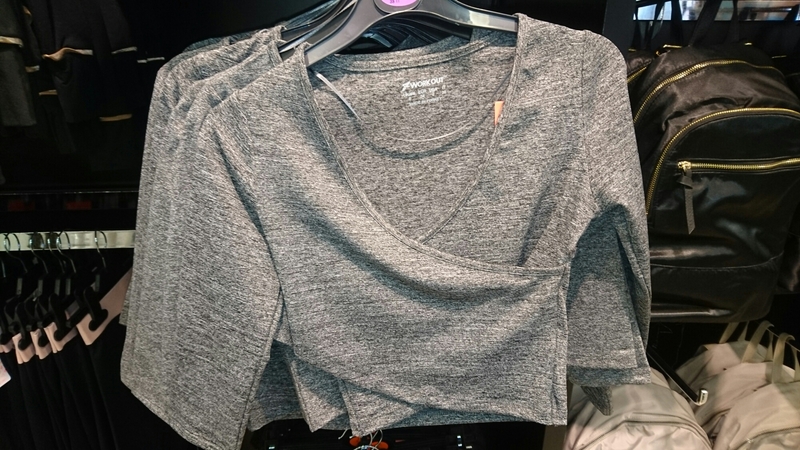 This grey top is £5 and has a mesh weave on the back. I tend not to like running in t-shirts because I get too hot so I’m interested in giving it a try. 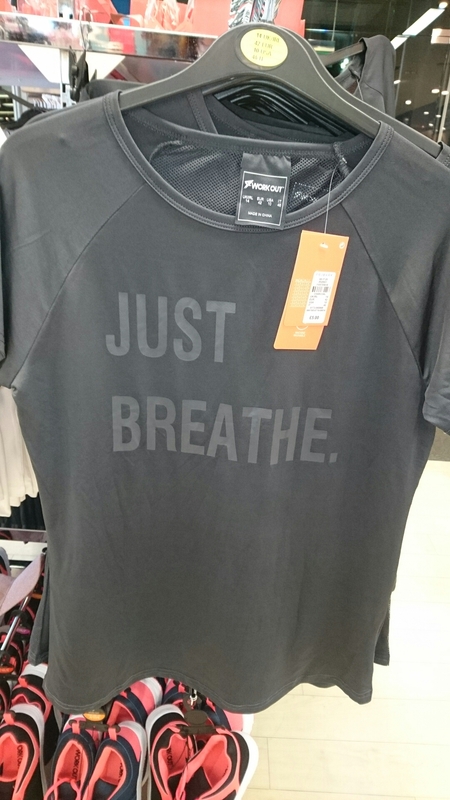 Anyone who’s ran next to me whilst they have been struggling would probably heard me saying the t-shirt slogan a lot. 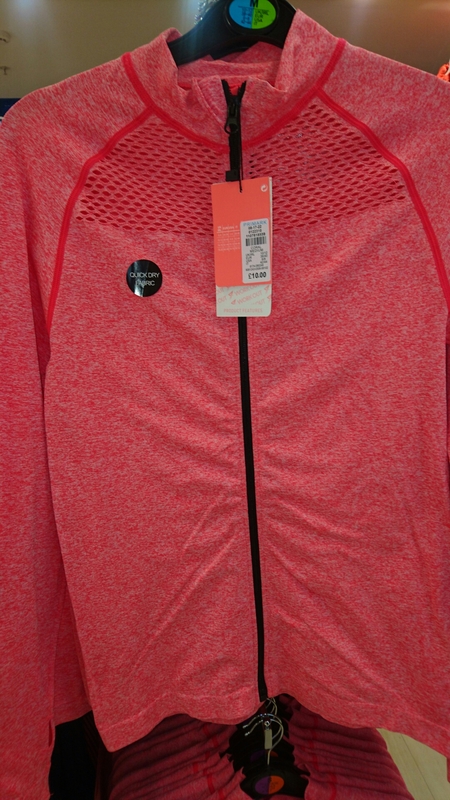 I also love this mesh hoody for £12. It does have a pocket and hood but I’m not sure have practical it’s going to be. Is so pretty though so if nothing else you’ll look good going to the gym in the spring. 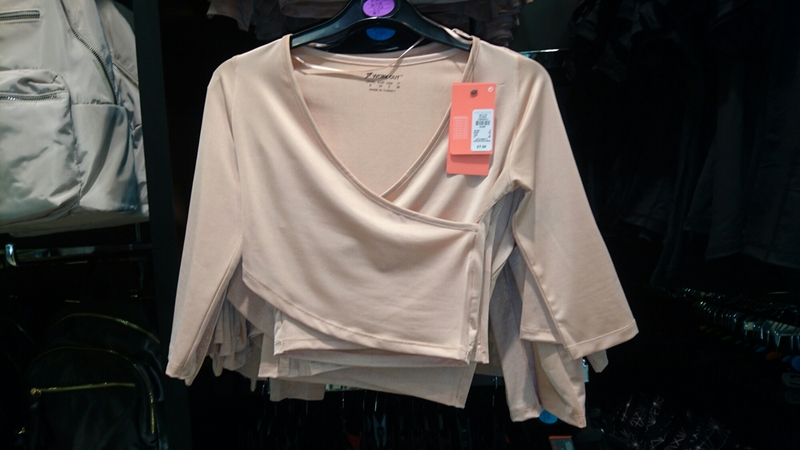 There are also these wrap over type crop tops. They are probably more dance/yoga than but I still love them (maybe because i’ve just watched Billy Elliot). I think they would good over a running vest though. Maybe they can be modified so that the arms fasten together then you could put it round your waist after warm up. They are £7 each. 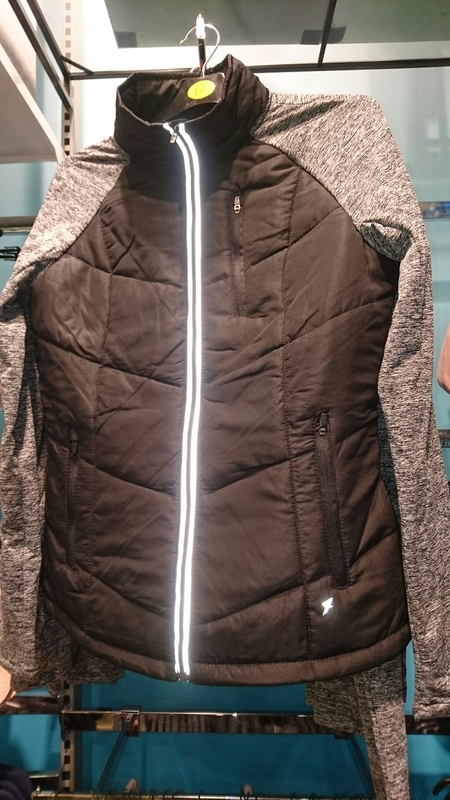 This very very reflective jacket with a hood and three zip pockets is £18. 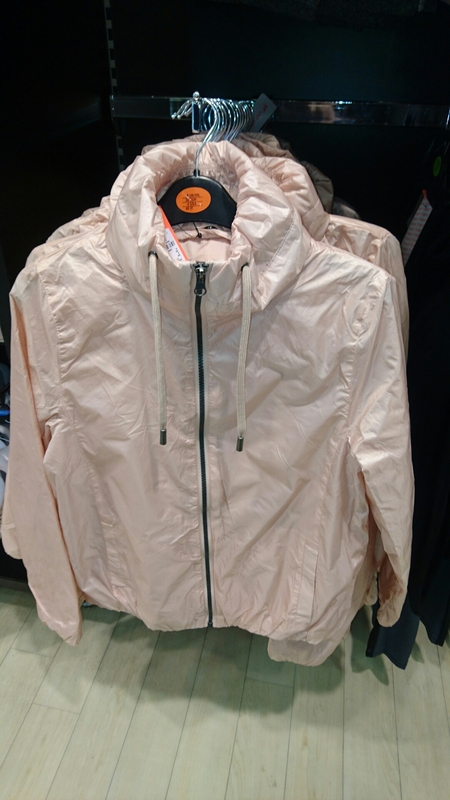 A very pretty light jacket in the pastel orange theme. 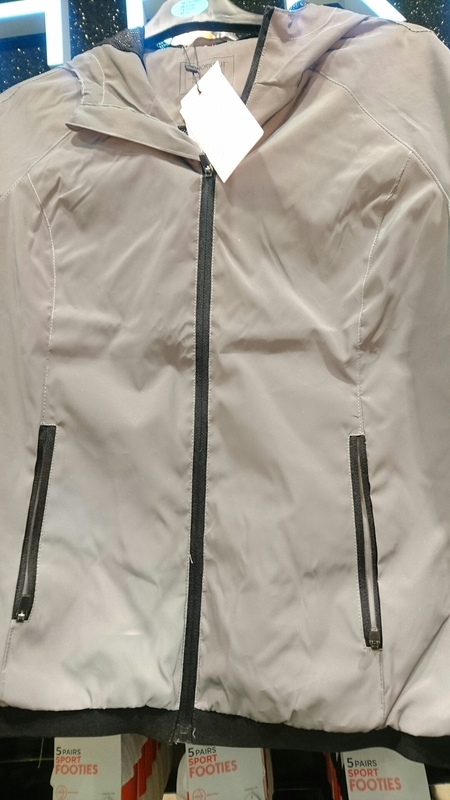 This puffy body jacket has been for a sale for a few months (I’ve been looking for it in my size for ages) and I think it’s a great piece to have around when the weather can’t decide what season it is. It has thumb holes too which is a must for me. There are a number of different tights, caprice, sports bras and tops in the colour scheme too. Together they make lots of pretty mix and match possibilities. 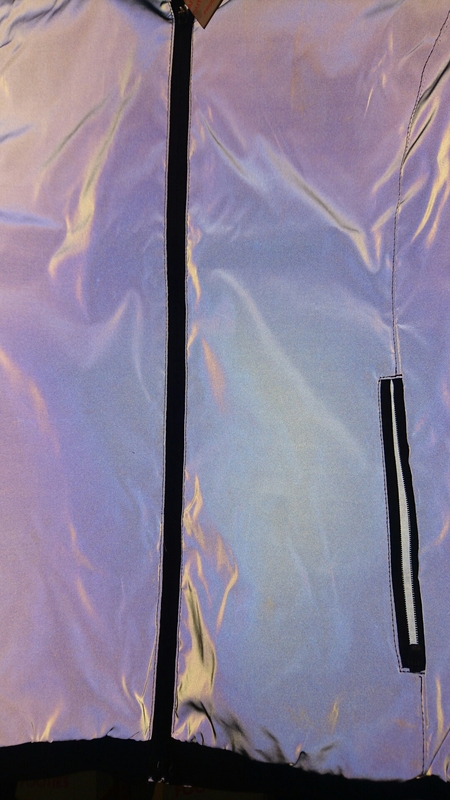 The standard jacket and sports bra that Primary always have has had a bit of a makeover too. The look has become a bit more streamlined and there’s cutout details too. 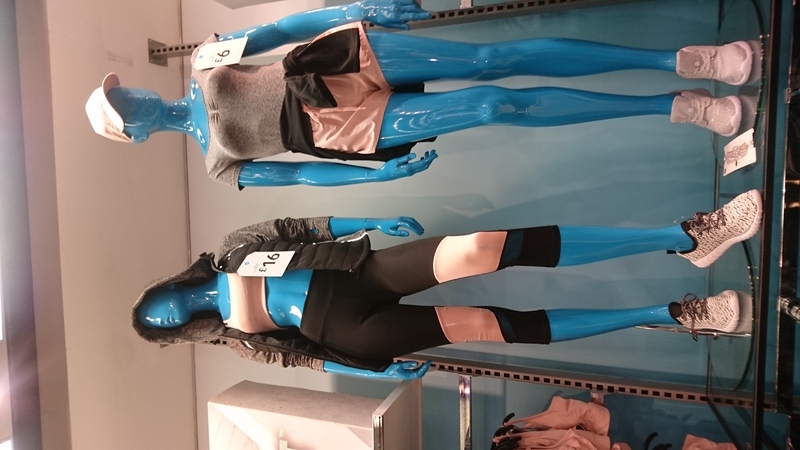 The jacket is £10 and the sports bra is £3. 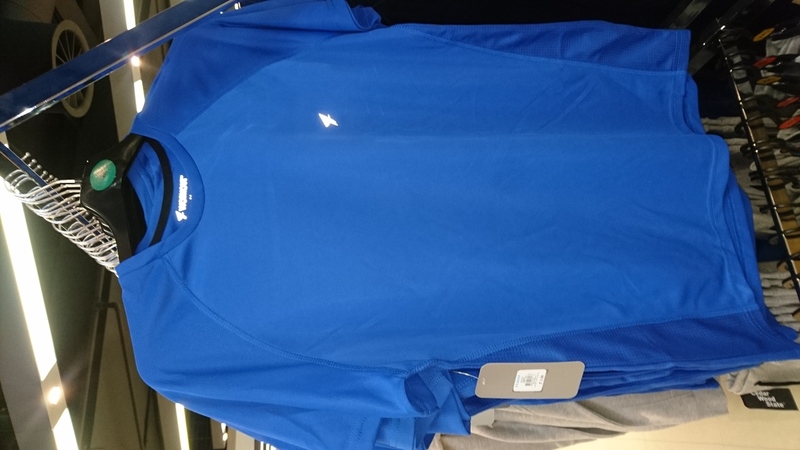 As the husband has started running too I thought I’d check out what clothes where available for men. I have to say it’s pretty limited. This is kinda it, the rest is just tracksuit tops and bottoms. Tights are £8 and t-shirts £3.50. 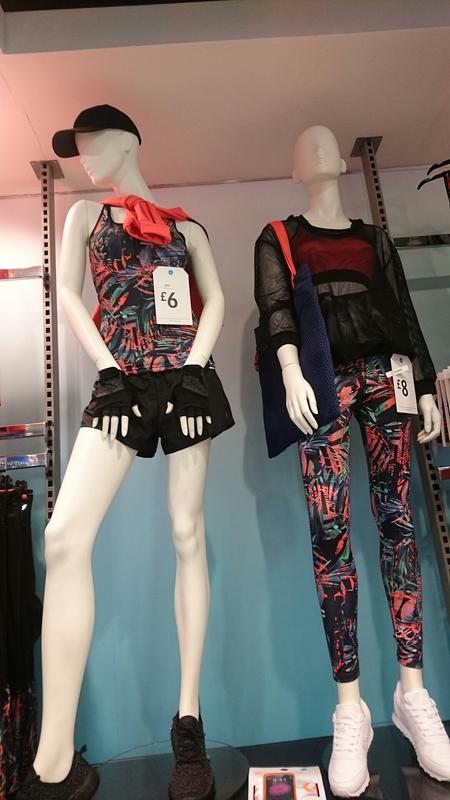 *Photos and prices as per Manchester Primark on 12/01/2016.